Keep clippers clean, sterilized, and sharpened in order to limit disease around your garden. Knowing how and when to trim your perennials is key to keeping your garden looking great throughout the summer and fall months. Tending your perennials shouldn’t too be difficult as long as you understand the basics needs of the plant, including how and when to trim plants back to encourage new growth. 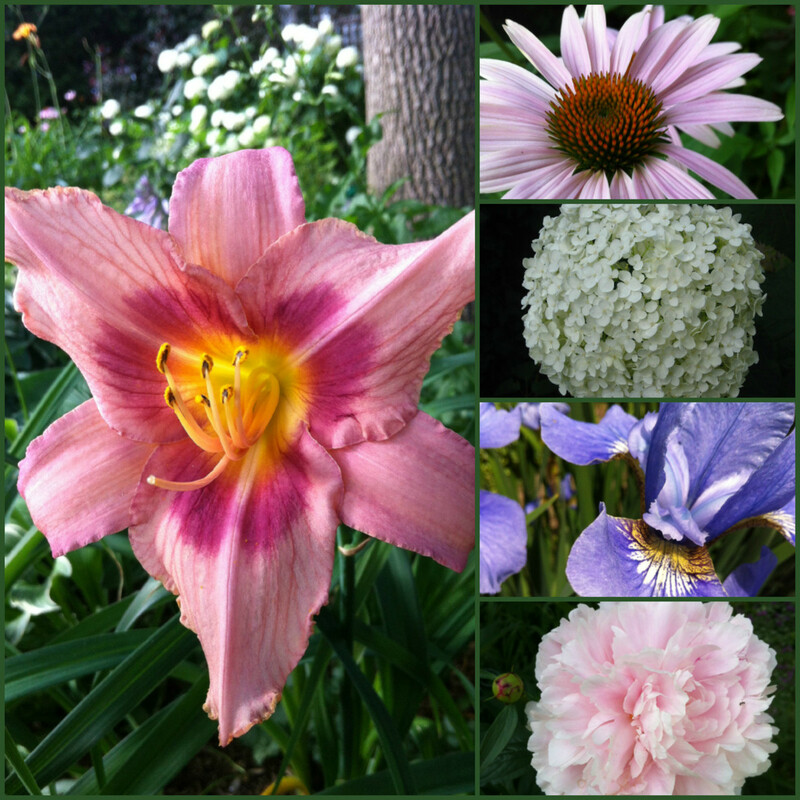 Popular examples of perennials include roses, lavender, mums, and phlox. 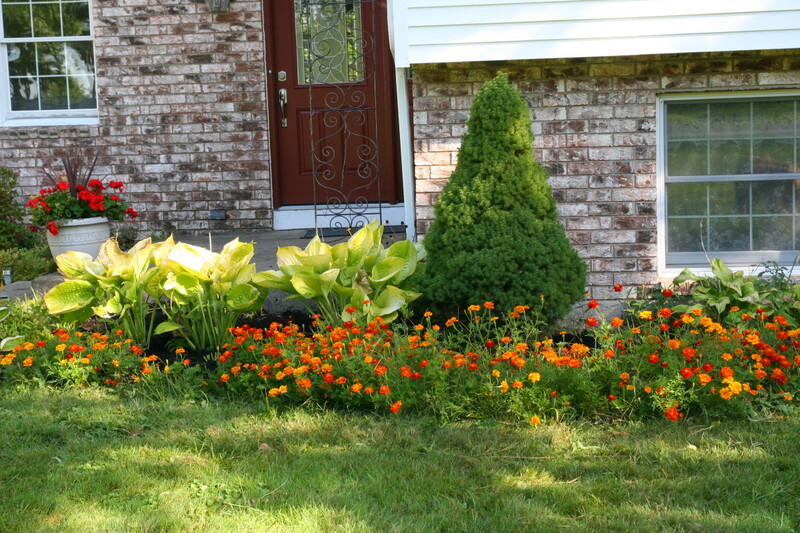 Cutting back perennials in the summer months will not only encourage new growth, but it will make your garden look more tidy, by eliminating dead or dying portions of the plant. There are three basic types of trimming you’ll do to perennials in the summer months: deadheading, light shearing, and hard cutting. 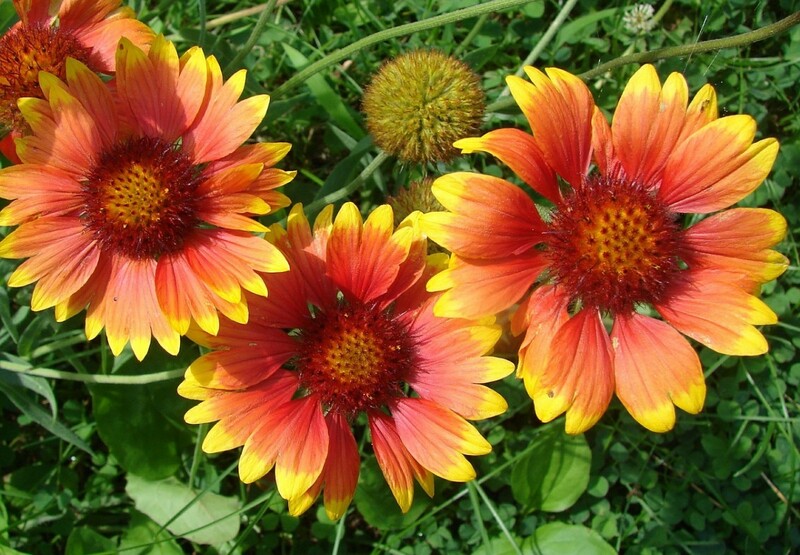 It's best to deadhead spent blooms from a gaillardia plant. The phrase “deadheading” refers to removing spent or unsightly blooms from a plant. Not only does it automatically make your plant look prettier, but also it encourages the plant to focus energy into producing new growth, rather than putting energy into a dying portion of the plant. Don’t just look for blooms that are completely dead or dying, consider ridding your plant of blooms that are beginning to look run-down. Sterilize a pair of gardening clippers. Find a bloom that you want to remove. Snip the bloom from the plant where it meets the main stem. Discard the removed portion of the plant. Always dispose of cut plants to ensure you keep the area looking tidy and to limit disease. 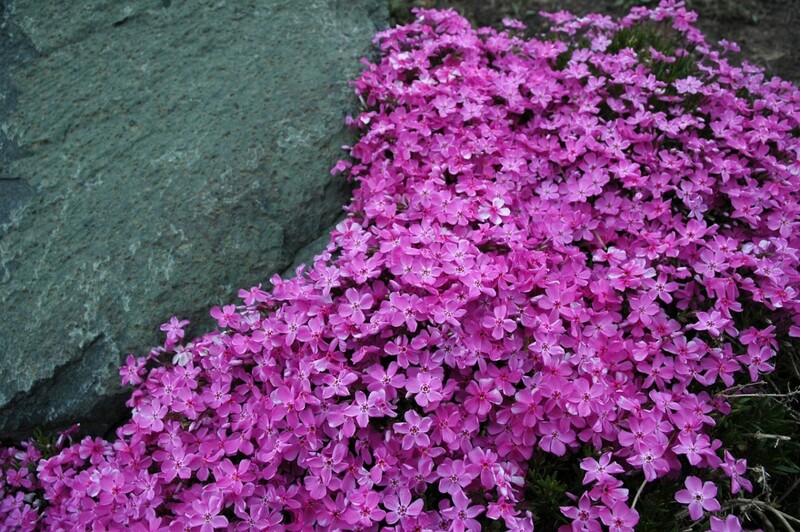 This creeping phlox is an example of a plant that would benefit from light shearing once the blooms have died down. As the name suggesting, light shearing cuts back a good amount of the dead or dying blooms, but keeps a large portion of the foliage. Although it may look somewhat drastic, this light shearing will enable your plant to focus a burst of new energy into growing new blooms. 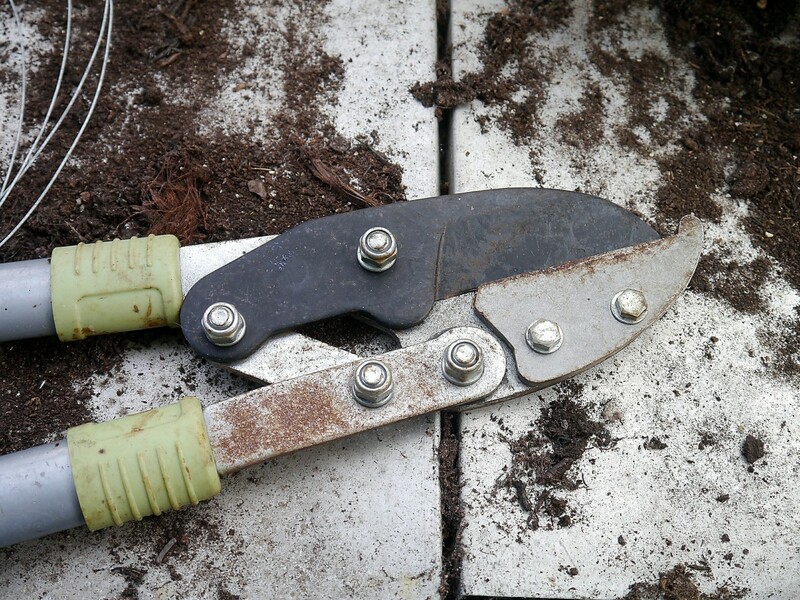 Sterilize a pair of gardening clippers or hedge clippers (depending upon the size of your plant). Grab stems into a small bundle. Clip the bundle where it meets the main foliage, working your way around the bundle. Typically, you’ll cut the plant about halfway down. 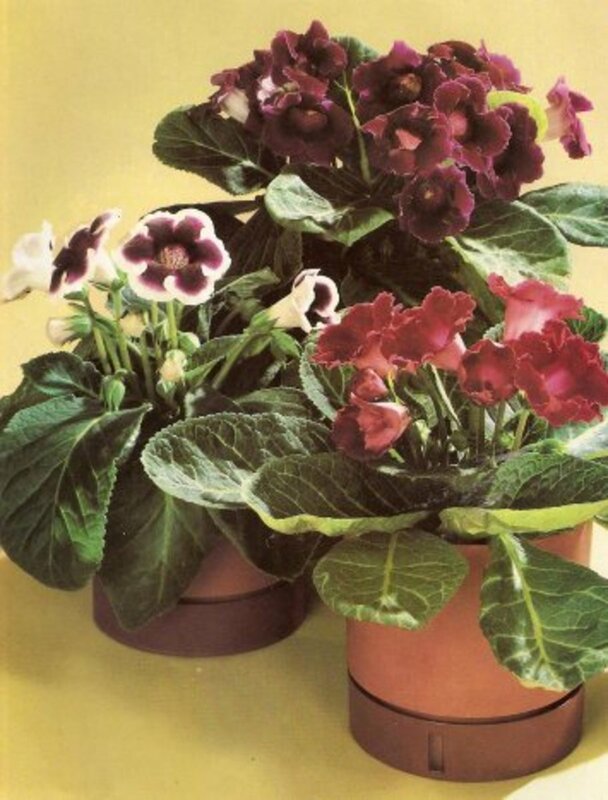 Typically, light shearing will tidy up the plant to make it look like a tight bundle. When properly sheared, the plant should still retain a lot of foliage at the base. Light shearing is best for creeping-style plants or plants you might plant in a rock garden. 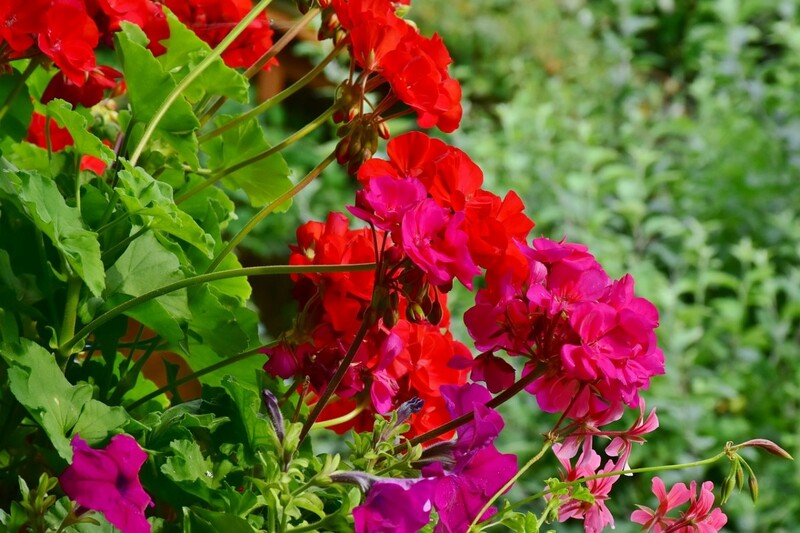 You can hard cut geraniums almost all the way to the ground once blooms are spent. A light shearing typically removes up to half of the total plant height, whereas a hard cutting will cut the plant almost entirely to the ground. 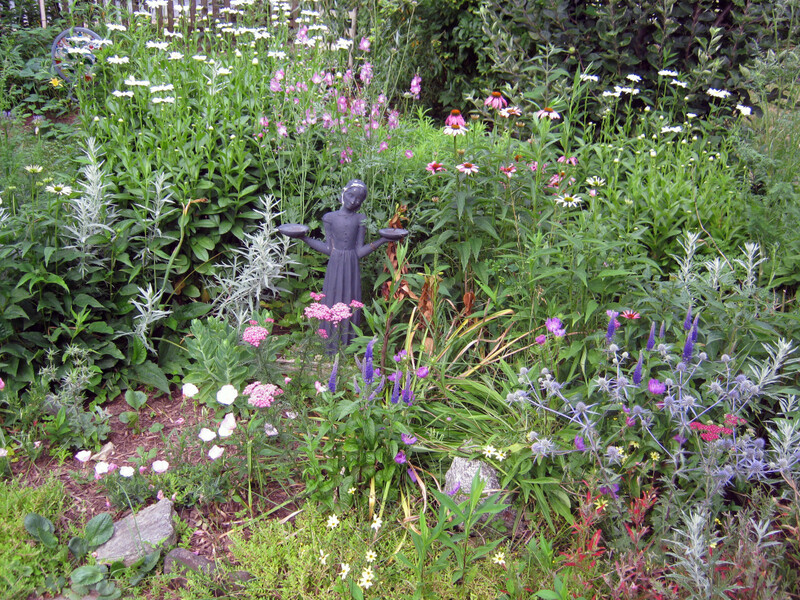 Consider hard cutting perennials that were in full-bloom formerly but are now looking tired and almost completely dead. Avoid removing fresh foliage when possible. Sterilize clippers or gardening shears. Inspect plants for fresh foliage and avoid those areas when hard cutting. Cut the plant as close to the ground as possible. Discard of cut foliage and rake as necessary. 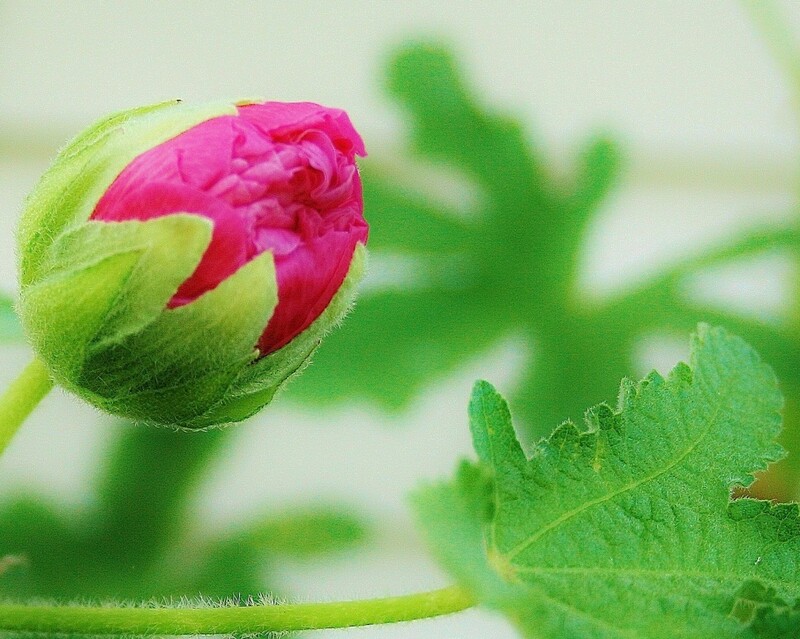 Hard cutting plants will leave a “hole” in your garden for a few weeks, but don’t worry, the plants will likely bloom back vigorously in no time! Consider hard cutting your garden in stages, so that you aren’t left with a naked garden all at once. Once your area has been cut back hard, it’s a good time to address any issues in the area, such as watering, fertilizing, or feeding. For example, you may want to install a drip line to reach back areas of the garden bed or apply mulch to help retain moisture. 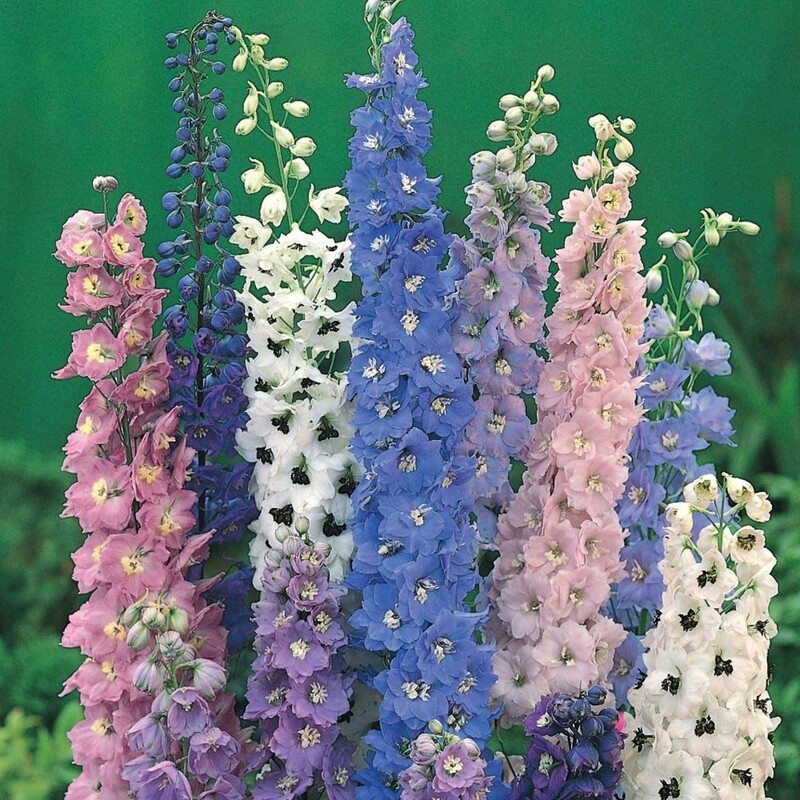 One of the great things about perennials is that you can often divide the plants, increasing your garden’s yield without increasing your costs. 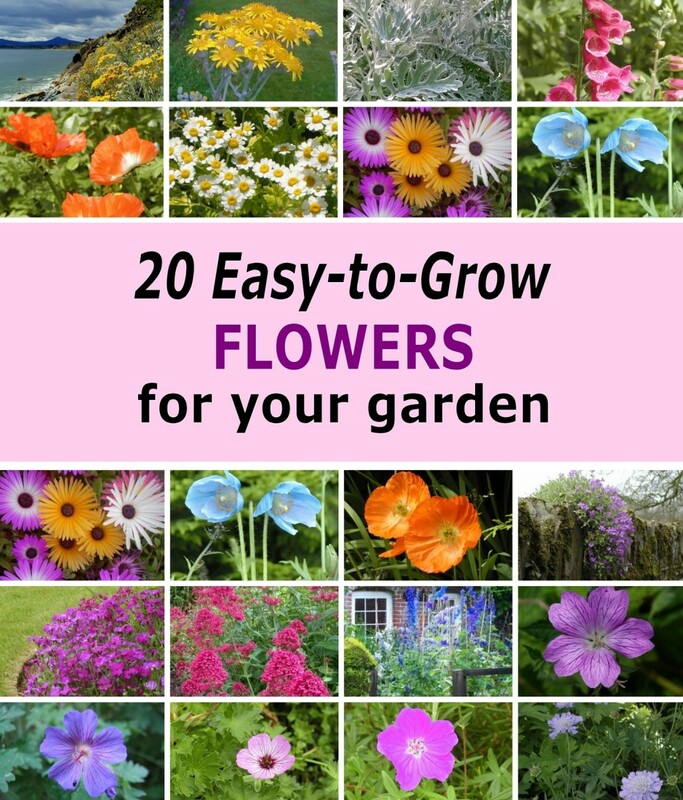 Dividing, or propagating, plants not only allows you to clean up the look of your garden by eliminating dead portions of the plant, but it can give you some great gifts in the form of plants to hand out to friends and family. Propagating perennials is fairly simple and should be done about every three to four years, depending upon the plant, to keep the plant thriving. Although it’s best to propagate plants in dormancy, some perennials may be divided while in the growth stage. Check your specific plant for best practices. Generally speaking, it’s best to divide plants at a time of day that won’t cause undue stress to the plant. So make sure to divide during a cool point in the day, preferably early morning while temps are still cool. Pull the plant apart gently, or use a sterilized trowel to make a clean cut at a natural division in the plant, ensuring you keep some roots. Inspect plant for any disease or damaged portions and discard as necessary. Check soil quality at this time, and work organic material into the soil if necessary. Place divided plants in their new location, and pack down the soil around the new planting. Place a layer of mulch or peat moss to encourage high moisture levels in the soil. Place a layer of mulch around the plant to keep moisture levels up, and limit the likelihood of weed growth. Inspect plants periodically for any signs of pest or disease and treat accordingly. For example, hand-pick off pests such as slugs or snails and drop them into a bucket of soapy water. Remove dead or diseased areas of your plants with a pair of sterilized clippers. Sterilize the clippers before and after use to limit the spread of disease around your garden.